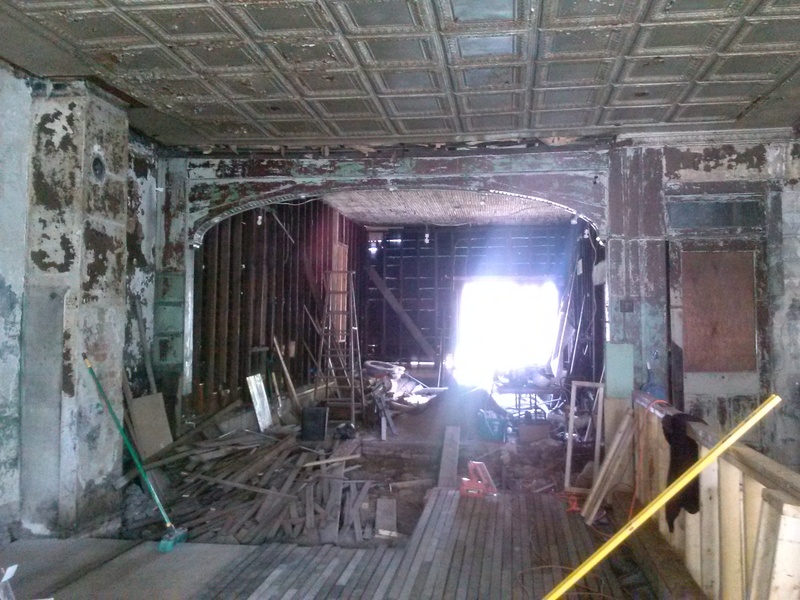 When Wade Mattingly looks at the interior of the old building at 625 Magnolia Ave., he doesn’t see a decrepit space that looks like it could easily be condemned. He sees a vibrant taproom, with a 10-seat bar, several booths and tables, and a view into a small brewing operation in back. And so it’s been since Mattingly and his brother Ken began their journey toward what will be called Old Louisville Brewing Company. It’s been a wild ride, but the duo has kept moving forward. And for Wade, at least, it’s about more than just a brewery — it’s about reclamation and locality. But it wasn’t the first space the Mattinglys looked at. Portland was an option, but the Old Louisville Historical District was where they wanted to be. 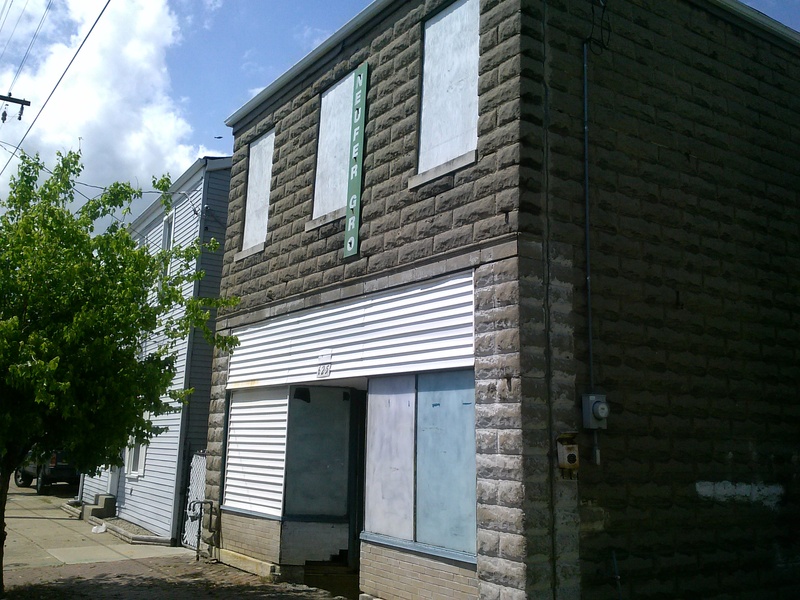 Unfortunately, the zoning in Old Louisville does not allow for brewing operations. Pubs and taverns, yes, but not breweries. The square, gray brick building at 625 Magnolia is literally two buildings outside the district — there is a “Welcome to Old Louisville” sign within about 30 paces of what will be the front door of Old Louisville Brewing. That’s not an accident — the old structure is just a couple of blocks from St. James Court and also is walking distance from several other businesses. But once the space was identified, Wade, who is doing much of the work himself, found there was plenty to do. At one point, the structure had to be jacked up so a new sub-floor could be installed. Walls have been stripped. Restrooms must be installed. Lighting must be added. And then there’s the matter of a brewing operation; a five-barrel system has only just been ordered and likely won’t be delivered for six to eight weeks. But despite the fact the floor of the place basically doesn’t exist at this point, it’s easy to see in Wade’s eye what he sees when he looks around the place. Yes, the neighborhood is packed with residences that are easy walking distance, and the population is diverse. Plus, he notes, there aren’t many places in Old Louisville to get good beer. He envisions 16 to 24 taps at Old Louisville Brewing, with house beers and plenty of guest taps so there will be no shortage of options for craft beer lovers. Ken Mattingly, a home brewer for two decades, give or take, will be in charge of brewing. Wade reeled off beers like Pumpkin Milk Stout, Chocolate Habanero Stout and a smoked IPA made with pineapple that is called Hawaiian Luau. But they also know visitors will want IPAs, pale ales, brown ales and other accessible brews. A beer garden is planned for the back lot (with room left for later expansion), and a walk-up window will allow customers sitting outside to get outside service. A side entrance will be close to the bathrooms, while a garage door will be installed in back to make it easier to bring supplies in and out. Meanwhile, the bar top will be built from reclaimed flooring from the building. The flooring in the taproom also is being created from the original floor before it was pulled up. 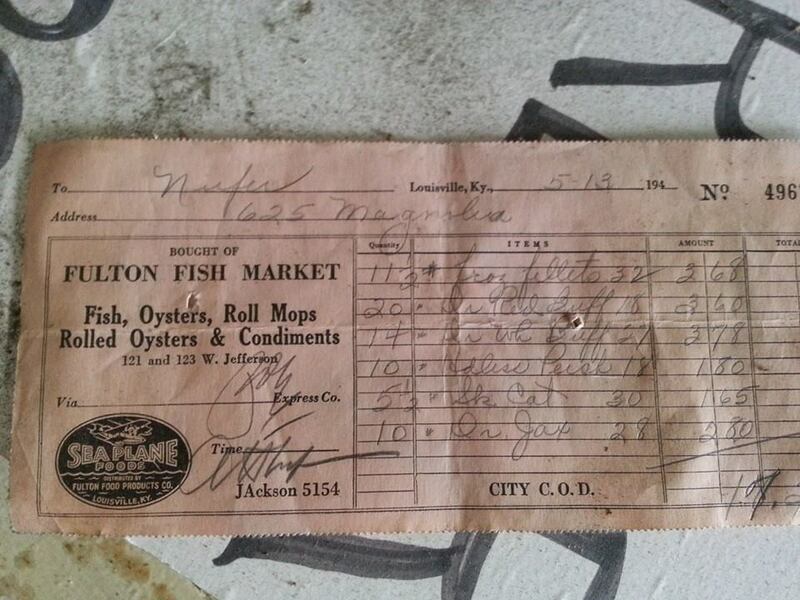 Heck, he’s even going to frame some 1940s-era receipts from the grocery store that he found while stripping the space. Hard to get much more local than that, and that’s the point — Wade Mattingly, who works in property management, wants to “put down roots” in the neighborhood. He is buying the building outright, so he’s there to stay. Ask him when he thinks Old Louisville Brewing will open, and the window is wide — “best case,” he says, would be sometime in July. He admits it could be well into autumn. Old Louisville Brewing’s brewer’s notice has been issued, and a $22,000 city loan for renovations has been approved. Still, the space has a long way to go, at least to the naked eye. Nevertheless, Wade Mattingly beams when he says that plumbers will be coming in May to start on the bar and restrooms. That, he says, is when it becomes clear the place is truly taking shape.